A father for a teacher? Absolutely. 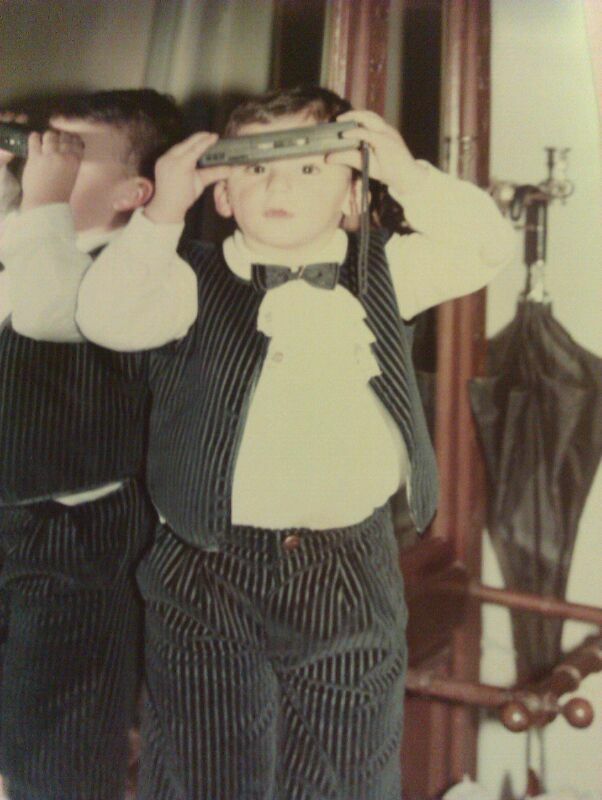 Just ask Toufic (Tom) Chebib, shown in my blog pic below. Toufic (Tom) Chebib in a comfortable corner of his Aladdin’s Eatery. Tom’s description of his father comes easily – a testimony to the major role that his dad, like fathers in every corner of the world, play in their children’s lives. To listen to Tom describe his early years is to gain a lesson in the history of his native country. “Our family originally comes from Falougha, Mount Lebanon,” he explains. Falougha is famous throughout and even beyond the Middle East for being home to the first water bottling factory in the Middle East. “Many people are surprised to learn that delicious spring water comes from the rocks near Mount Lebanon,” observes Tom. 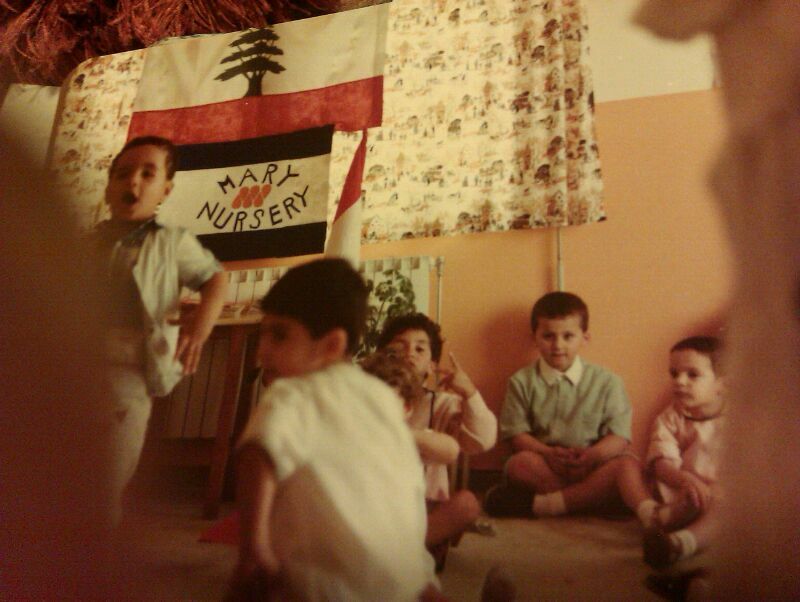 cedar tree is on the Lebanese flag, as shown in the blog pic here of Tom (standing at left) in nursery (pre-K) school – well before his third – sixth grade years. Offering another fascinating historical tidbit, Tom proudly tells that the first ships of the ancient Egyptian pharaohs were built of Lebanese cedar. As a very young child Tom was already making memories that he graciously shares as an adult. Who did I influence today? How can I improve my positive influence? Tom has kept his father’s advice. 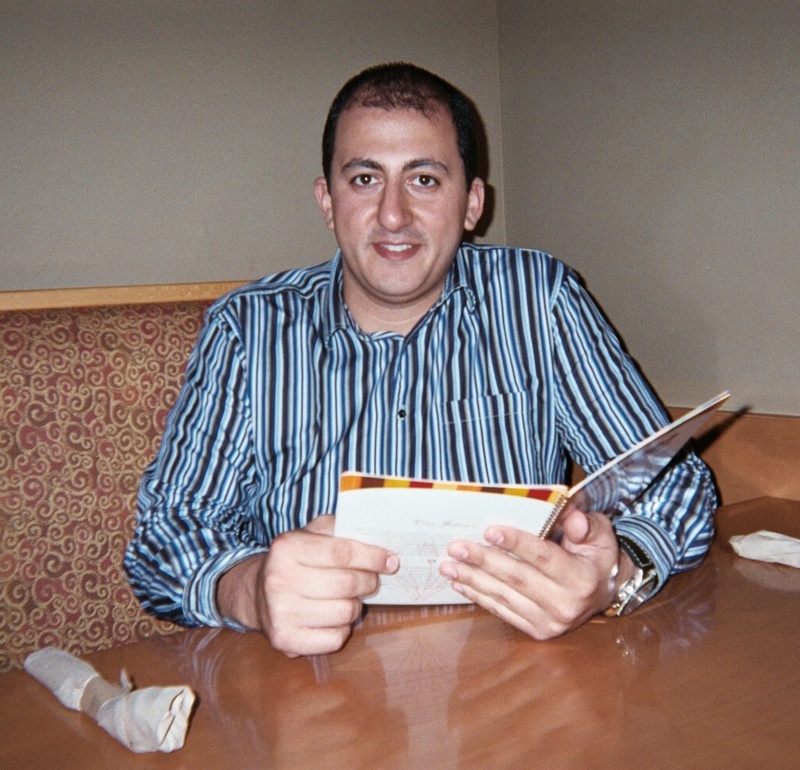 He first journeyed from Lebanon to the US, living with his aunt and uncle in Cleveland, Ohio in the early ’90s. Tom graduated from Cleveland State University with an engineering degree and began his Masters studies as a working engineer before finding himself drawn into the family’s now multi-state restaurant business. Remember, you don’t need to be a magician to work magic in (business and all other) instructional settings! Please send me your magical attention-grabbers; I’d like to share them with readers now in 78 countries around the world.